This is the moment everyone has been waiting for, what the entirety of the 2014 season has been building up to - the epic showdown between Lewis Hamilton and Nico Rosberg for the World Championship. There are other things happening as well, though. 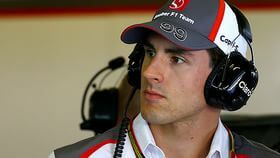 Jenson Button and Adrian Sutil could be racing their last Formula One events, whilst Will Stevens has been thrown in at the deep end for his first. Williams hope to fend off Ferrari for third in the championship, whilst Alonso bids farewell to the Scuderia in search of pastures new. Hellos and goodbyes, as the season (and the live comments) enters its last hurrah!